October is a time we start thinking about Halloween: our costumes and going trick-or-treating. One of the biggest highlights is receiving treats, notably candy. We also start getting into the groove of fall and savor the last days of playing with autumn leaves before snow hits in late November. It’s one of the sweetest moments of the year and we should start thinking how to make it an amazing month for everyone. Amazing Kids! encourages you to find ways to brighten up someone’s day and put a little happiness in their life. After she heard that her grandfather had a heart attack and died because people didn’t know how to perform CPR in India, Mrinali Kesavadas set out to find a solution. Mrinali has always wondered if people who knew CPR could have saved her grandfather’s life. She invented a low-cost CPR simulator that teaches someone how to perform CPR. CPR stands for Cardiopulmonary Resuscitation, which is a lifesaving technique used in events like heart attacks and drowning. 11.7 million people die worldwide due to cardiac arrest.This invention can help save the lives of relatives, friends, coworkers, and classmates alike, especially in undeveloped countries. Keep reading to find out more about Mrinali and her CPR simulator! After Mrinali thought about how a CPR simulator could have saved her grandfather’s life, she started to look at the CPRs that are currently available. Their cost was in the thousands and according to Mrinali, didn’t have the capability to teach people how to properly use CPR. Only about 13% of Americans can actually perform CPR correctly outside of hospitals and developing nations can sometimes not afford to buy such expensive mannequins. Developing nations have less than 10% of their population who can perform CPR. Mrinali asked herself if there was a way to change that. After her dog found one of Mrinali’s old toys, she used it to help one of her ideas become reality: creating a CPR simulator. When she found out about the Discovery Education 3M Young Scientist Challenge, she thought about her simulator idea. The Young Scientist Challenge is an annual science competition for grades 5-8 and is sponsored by Discovery Education and 3M. 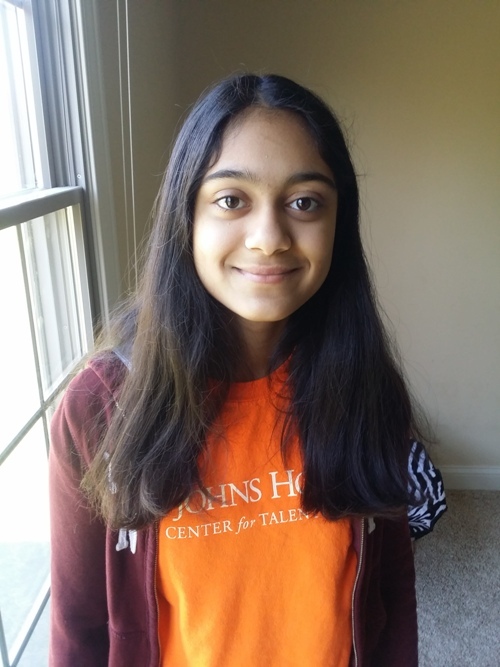 Mrinali is one of the ten finalists for the 2016 Young Scientist Challenge. They are competing for the grand prize: a $25,000 award and the title of being called America’s Top Young Scientist. Past top scientists include Hannah Herbst and Harvard student Deepika Kurup. This year’s winner will be announced on October 18th, 2016. Don’t forget to register to be able to view the event! Here’s a picture of Mrinali. Mrinali’s 3M mentor is Dr. Benton Free. During the summer, he helped Mrinali perfect her design to get ready for the stage in October. She says Dr. Free has been very helpful and supportive. Dr. Free has taught Mrinali some skills using science. He is a product development specialist at 3M and has worked with the company for 16 years. For example, he says that in research, you should explore your different options. This actually happened to Mrinali when she was working on finding good sensors for the simulator. Some were expensive but Mrinali remembered one of her main goals for her simulator was that it had to be low-cost. In the end, Mrinali decided on sensors from SparkFun Electronics and DHL. She highly recommends both. To simulate a person’s chest, Ives has soft material and rubber bands. For audio and visual feedback, Mrinali used her sensors and an algorithm she developed. It also tells you if your rate of CPR, depth, and pressure is accurate or not. This is Ives, Mrinali’s simulator. Mrinali is continually trying to improve her design. For the future, she says that she wants to make Ives stand up better to longer periods of wear and have it be more cost-efficient. Amazing Kids! wishes Mrinali luck on the rest of her journey and encourages readers to find a way that both lets them pursue their passions and makes the life of others sweeter. This October, focus on how you can brighten someone’s day in a way as special to them as a thousand pieces of candy.